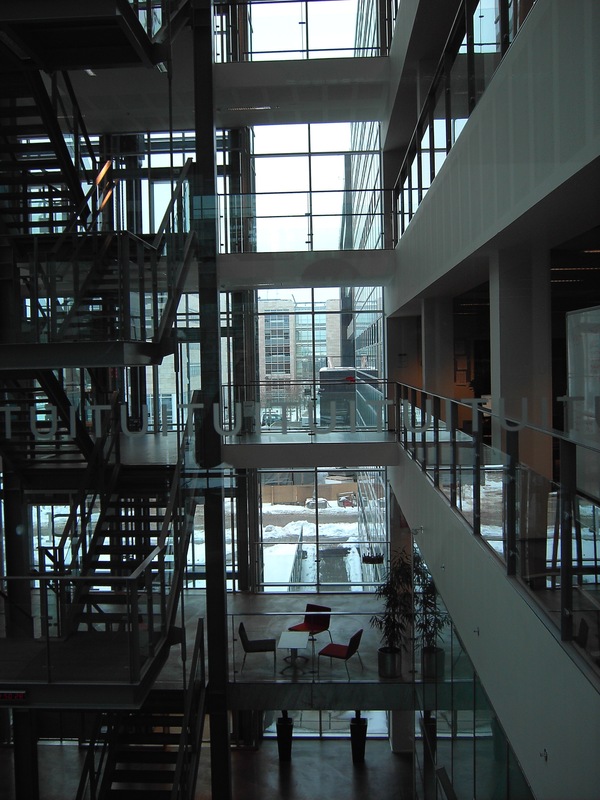 I attended the summer school dealing with enterprise architecture that took place at IT University of Copenhagen in week 31 of 2012. A lot of interesting presentations and debates took place. I found quite a few interesting topics to think about and one of them dealt with the philosophy of enterprise architecture, which is the main theme of this blog post. There are many interesting view points on enterprise architecture, what it should be used for and how to create value with it. In practice there are quite a few enterprise architecture methodologies that are used very differently from organization to organization. Most of my observations indicate that enterprise architecture is build upon identifying, organizing and exposing management information that deals with applications (software), technology, and processes in order to deal with them. The idea is to navigate in complexity of the information technology that the organization posses. In certain cases the chief architects have been able to produce management information that has had an impact on the decision-makers in order to define what kind of information technology and to a certain extent how to deal with (e.g. prioritize) what particular it-based projects that should be dealt with through allocating resources to them. Mika Helenius (Aalto University) has done some research on the basics of a philosophy for the concept of enterprise architecture. He presented some of his findings and facilitated a debate among the practitioners, students and academics. His findings suggested that enterprise architecture as such suffers from the blessings of multi-disciplinary approaches where social science, natural sciences and the science of architecture which seems to be a form of art and a form of aesthetics. These different forms of sciences, methodologies and ways to approach problems usually result in some form of clutter and it can result into increasing complexity when defining and dealing with enterprise architecture from a science point of view. There might be confusion of the ontology and epistemology and it might add extra complexity to the concept of Enterprise Architecture, or at least it appears to be so. However from my point of view the concept of enterprise architecture can be closely linked to cybernetics and for that matter systems thinking. In my opinion isn’t it out of scope to apply elements from the paradigm of social-constructivism since quite a large part of the concept of enterprise architecture would have to be related to social sciences and in practice quite a lot of effort would have to be invested in the social aspects of communication, changing the behaviour of various stakeholders of the enterprise and ensuring that the change is anchored in the organization. A socio-technical or social-constructivist approach would to some extent be able to explain the construction of the Enterprise Architecture program and decision-making. If the paradigm of systems thinking is applied in order to achieve an understanding of the concept of Enterprise Architecture, the primary definition of the concept of Enterprise Architecture would be that the purpose of the system is what it does. This means that the concept of Enterprise Architecture would be defined differently from organization to organization. I never really experienced that the EAP has delivered the same kind of artefacts or applied the exact same kind of approach in order to identify, organize and expose the artefacts. If the concept of Enterprise Architecture cannot be defined besides on an individual level it would seem nearly impossible to define a proper philosophy for Enterprise Architecture program. There is still a lot that can be done in order to understand the concept of enterprise architecture. To a certain degree I believe that the best approach in order to define the concept would be through by applying the cybernetics paradigm or a social-constructivist paradigm. The reason for why these to paradigms are interesting in an Enterprise Architecture context depends the perspective that is put on top of the concept of the Enterprise Architecture they would be able to deal with the explanation of the social systems which seems to be the dominant part of the practical approach to Enterprise Architecture and explaining the nature of systems where humans interact. The cybernetics paradigm can explain systems of humans, technologies and structures. From a purely organizational point of view the branch of cybernetics known as Management Cybernetics be applied and the main focus is to define system and its feedback and control mechanisms. The social-constructivist paradigm can be applied in order to explain how groups of humans construct their own realities and own code of conduct to produce information and deal with problems that occurs within the system. I like the way you put it that EA “suffers from the blessings of multi-disciplinary approaches.” I guess part of it also stems from the decades old debate on whether software development is a science or art. Many practitioners follow their individual preferences – art or science – when it comes to Enterprise Architecture too, hence the “result in some form of clutter” Another possible cause is that business management itself is an organic process and EA needs to mirror the business and business processes. Right?